Each year brings a new list of hot toys, the ones that almost every kid has on his or her wish list. These toys, which are some of the hottest for Christmas 2014, are certain to impress even the pickiest child. This year's list of 'must have' toys range from hands-on options to electronic gadgets that educate and entertain. Although any toy from the popular Disney movie Frozen will be on many children's wish lists, the Frozen Snow Glow Elsa may very well become the 'it' toy this year, as some are predicting it will sell out. Toy Insider includes this doll in their Hot 20 list. 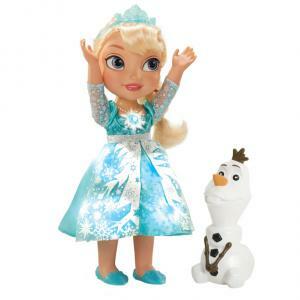 Recommended for children age three and up, Snow Glow Elsa utters 15 sounds and phrases from the movie, including about half a minute of the signature song Let it Go. The interactive doll is 15 inches tall, requires three AAA batteries (not included) and costs around $40. 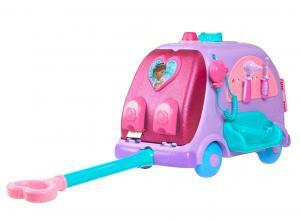 Another popular doll-themed toy on this year's list is the ever-popular Doc McStuffins Get Better Talking Mobile. Huffington Post names this toy, based on the TV show, as one of the best for 2014. This toy ambulatory cart comes with a real motion-activated siren and a working CB. Recommended for children ages three and older, your child will relish in the task of taking care of their stuffed toys. Besides the siren and CB, the toy kit includes an audible EKG, bandage sticker dispenser, a working ladder and gurney. Requires two AA batteries (included) and sells for around $50. 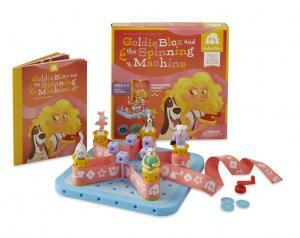 A 2014 Toy of the Year People's Choice Winner and listed on Parenting's Best Toys of 2014, the unique GoldieBlox and the Spinning Machine is a story and activity combined. The creator's goal with GoldieBlox was to introduce girls at a younger age into STEM-centric ideas (Science, Technology, Engineering and Math), by "tapping into girls' strong verbal skills." By combining a story with various construction sets the toys are designed to expand a child's spatial skills. In this combo, Goldie needs to build a spinning machine to help her dog chase his tail. The game is designed for children ages four to nine and can be purchased for about $30. Near the top of the Toys R Us list of 'must have' toys of the season, this video game, available in Xbox, Playstation, and Wii formats, does not disappoint. 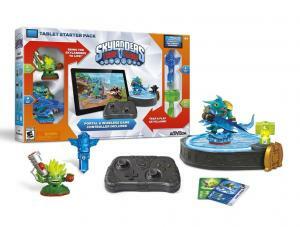 In this year's Skylanders Trap Team Starter Pack, a really cool addition is the new tablet version of the game which lends itself to a pack-and-carry option for long trips or car rides. The tablet version comes complete with a stand and controller that pack away into the base of the portal. Just like in previous versions, expect to purchase the necessary premium toys to access locked areas of the game. Rated "Everyone 10+," the game sells for $60- $75, depending on which console it is being purchased for. 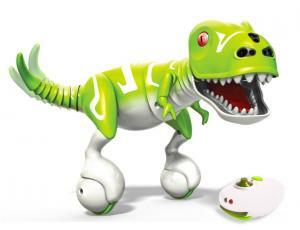 Another entry on Huffington Post's list is Zoomer Dino, designed for children five and up. The Dino has many of the same features as last year's Zoomer Puppy including LED eyes that indicate mood and motion sensors to know when you are nearby, but he also has a few dinosaur-specific actions. Just like a dinosaur he can get angry, spin around, chomp, and roar, especially if you pull his tail. This toy requires three AAA batteries (not included) and sells for about $80. Listed as one of the best tech toys for Christmas by Gizmag, the WowWeeMiP Robot, described by one reviewer as part butler, part Segway, is a miniature robot designed for children eight and up. MiP is the first toy robot to balance on two wheels and this interactive toy has a responsive personality that may turn the toy into your child's new best friend. 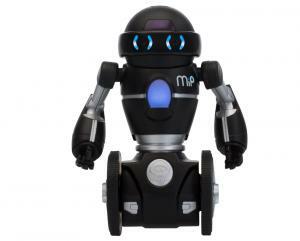 The robot responds to hand motions, emits sounds, has LED eyes and even dances to music. MiP also comes with a removable tray that can be used to transport items up to the robot's weight. The toy requires four AAA batteries (not included), comes in black or white, and sells for $90-$100. 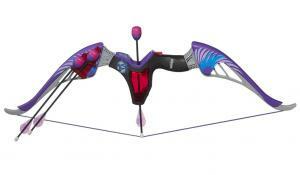 For a low tech but incredibly fun toy, try the Nerf Rebelle Agent Bow Blaster. The company is banking on the appeal of female heroes like Katniss from The Hunger Games to boost the toy's popularity with female kids. Chosen by moms on Amazon's 2014 toys list, this toy has authentic bow action with arrows that whistle when they fly up to 85 feet. The bow comes with three arrows and a decoder which can be used to deliver secret messages to a comrade. 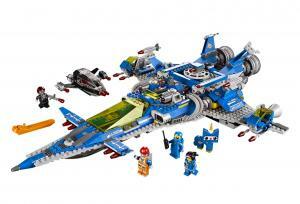 Designed for children age eight and up, the set sells for less than $20. 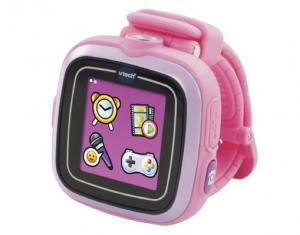 PCMag gives the VTech KidiZoom Smartwatch an excellent rating, praising it for being durable, fun, and simple to use. This portable camera watch lets younger children create photo and video clips on-the-go. It comes with three mini educational games and children can download additional games, including one that teaches them how to tell time. The watch comes in four colors (blue, green, pink, and white) and is recommended for children ages four to seven. It sells for around $50-$60. This toy, chosen by kids on Walmart's list, is sure to impress your active child. 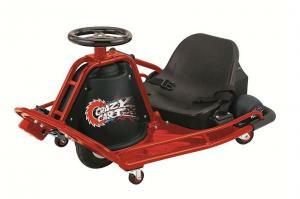 The Razor Crazy Cart, designed for children age nine and up, reaches speeds of up to 12 miles per hour while letting the driver either control the vehicle like a go-kart or engage the drift system. In drift mode, the driver can vary the rear caster angle of the vehicle causing it to drift forward, backward, sideways or even diagonally. The cart sells for $300-$350. 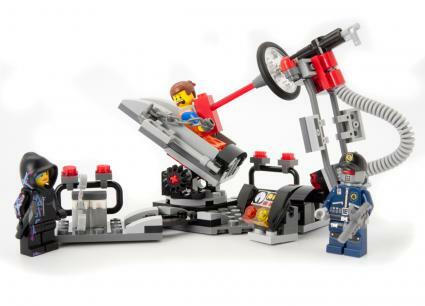 Landing on Time's Top 10 list for 2014 isn't the only reason The LEGO Movie LEGO kits are included here; these kits are extremely cool and versatile. Designed for a variety of ages depending on difficulty, from six to 14 years, the age-appropriate toys range from simple snap together kits to more advanced and complicated options for an older child. Regardless of age, this toy will encourage your children to build something with their hands and forgo their electronic gadgets - at least for a little while. Kits range from $12-$250. Despite all the great new toys being introduced this season, a few from previous shopping seasons remain popular with children of all ages. Google recently released a list of popular toy searches -- which included long time favorites like Barbie dolls and Nerf guns. Whether you pick a hot new toy or a trusted favorite, you're sure to put smiles on your kids' faces this holiday season.